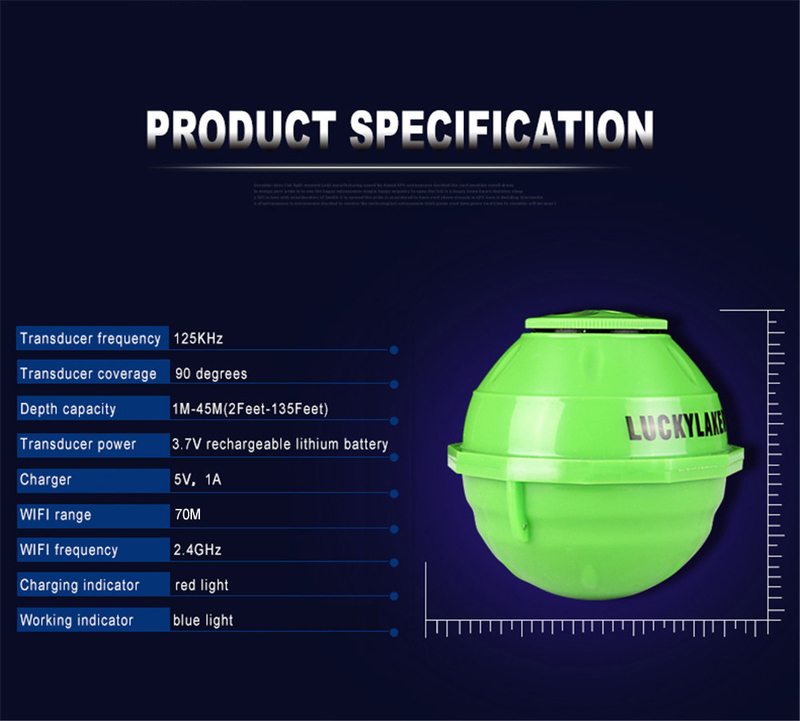 Tie your fish reel line to the front hole in the Wifi transducer and cast it into the water, then you can open your app and enter the operation mode, the water depth, water temperature, bottom contour and fish information can be constantly obtained from WIFI transducer. 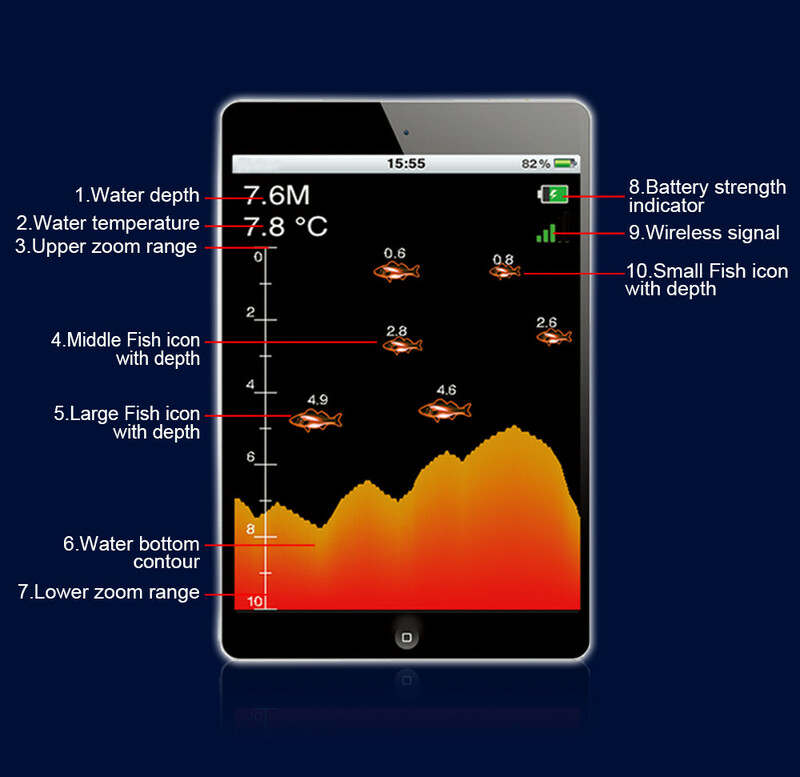 Selectable sensitivity, zoom, units, depth range, shallow alarm, fish icon fish alarm, chart speed setting. 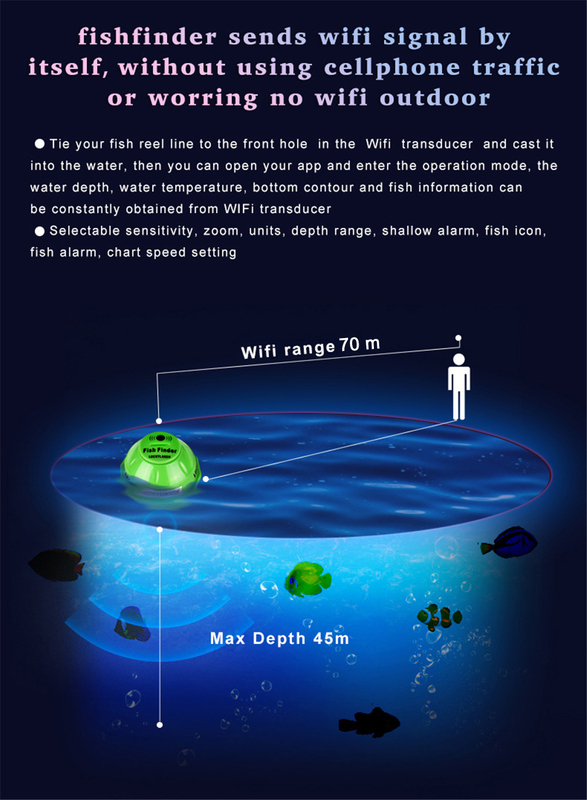 Kindly remind that please download new app”wifi fish finder“ instead of old app”wifi fish finder 2″, or else it needs to activate to use.